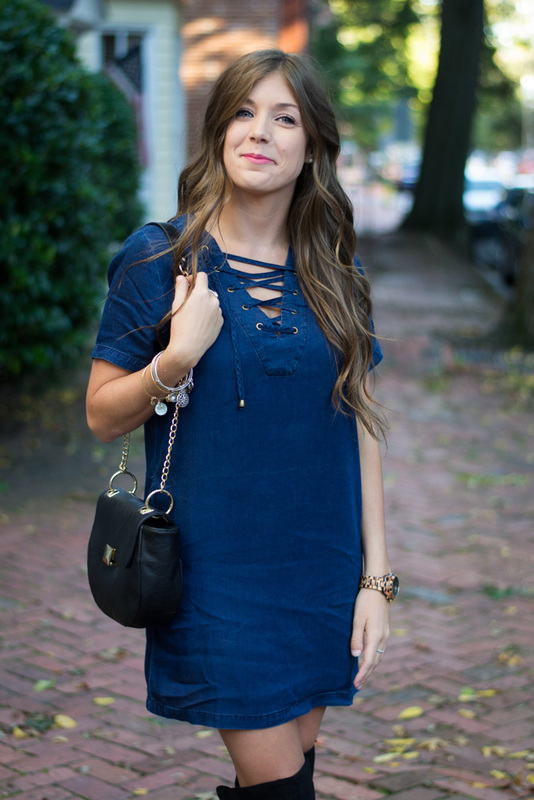 I have been loving the lace-up top trend lately, so when I saw this denim lace-up dress I just had to have it! Francesca's has way too many cute dresses available right now, a variety of styles, and perfect for fall! I also can't get enough of these over-the-knee boots.. can you believe they are from Target?! They look just like the Vince Camuto boots! 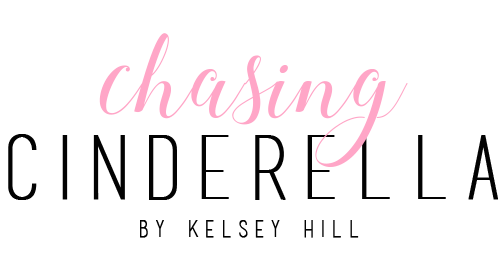 In over news: I mentioned on Instagram last week that I have some exiting news coming and I will be spilling the beans in my October newsletter! Make sure you don't miss the excitement by signing up here! Love this denim dress! The black boots look amazing with it!! I love this whole look! Perfect! I love the denim lace up with those black boots! So cute and edgy. Francesca's is one of my favorites! Love this! I love the darker denim wash and the lace up details for fall. Francesca's has some really amazing pieces! I absolutely adore this dress! Your boots are gorgeous too! I ordered me a pair last week and I'm patiently waiting for them to come in! That is such a cool dress. I love that it is lace up but also denim and has pockets. Paired with the boots it looks great!! This is such a cute outfit! Also, you have amazing hair!! Love it! Oh my gosh, I don't know what I love more: that dress or those boots! And the boots are from target ... YES! Love this outfit!! Love the lace up detail, love the OTK boots and anything denim, I am sold!! Gorgeous as always!! Oooh! I love that denim lace up paired with otk boots! You look AMAZING!!! Love your boots too! How cute are you?!! Love how you paired this dress with the over the knee boots. And your hair is so gorgeous!! OK Target is killing it lately in the clothes/shoes department! You look great, I love the styling! I agree, I love this dress! Francesca's has so many great things! 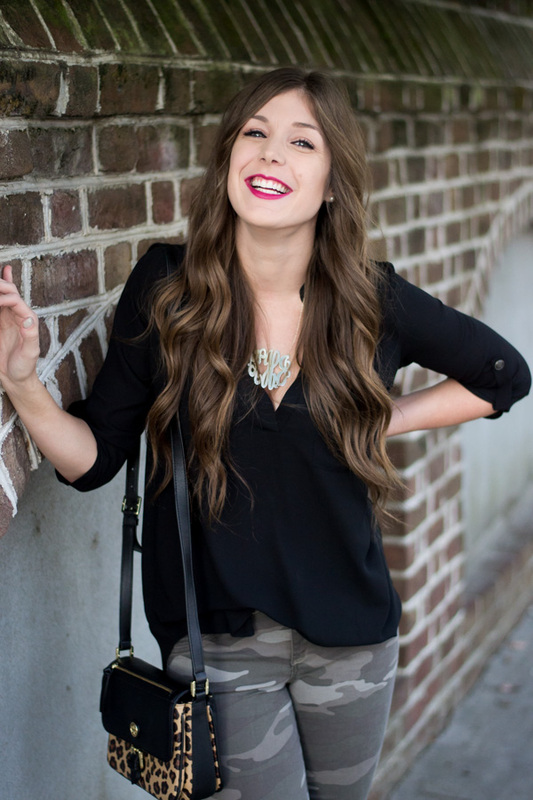 Love the lace up detail and your hair looks awesome! 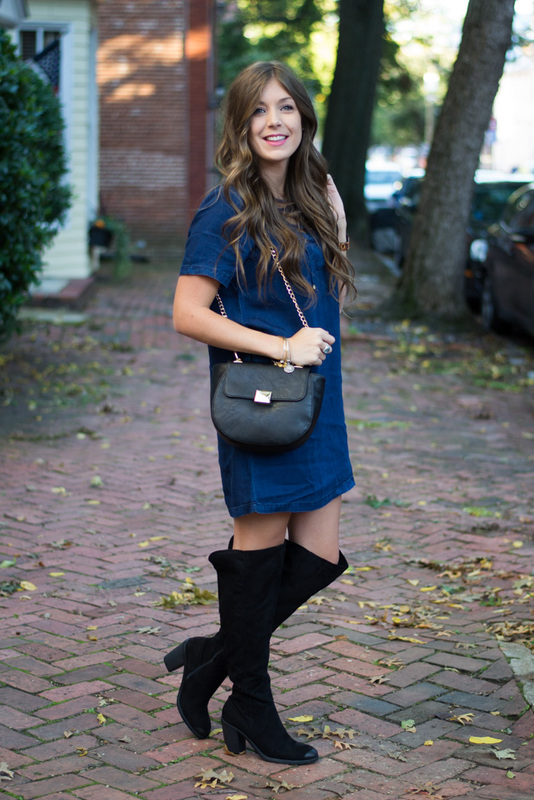 What a cute dress- love how you styled it with the OTK boots! That lace up dress is so cute and I am OBSESSED with those OTK boots! This lace up denim dress is seriously the cutest! I love that you paired OTK boots with it. This dress is way too cute and pairs SO perfectly with those boots! Love this look! Love this denim lace-up dress especially with the black OTK boots! Super cute! !